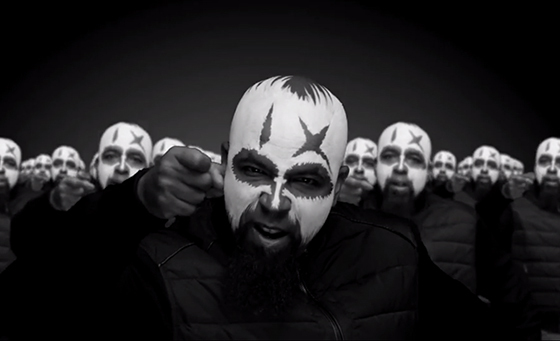 Tech N9ne’s potent and devastating opening track to Special Effects gets the visual treatment it deserves with the official music video for “Aw Yeah (interVENTion)”. Joined by an army of supporters, Tech N9ne performs his heart out, bringing the socially conscious and highly personal song to visual life. With a sole focus on Tech’s emotive performance, the “Aw Yeah (interVENTion)” music video will leave you as breathless as Tech himself, as he utters the song’s final, earth-shattering cry.